All sweet things should come to a sticky end ideally in the mouth. Moisture however plays spoilsport midway ruining the texture and making confectionery items soggy and visually unappealing. All this arises, because confectionery items – chocolates, hard candies, chewing gums, bubble gums, sweets, toffees, etc., are rich in sugar and hence are hygroscopic. When the humidity is high, confectionery items regain moisture and become sticky and prone to mould formation. Some typical problems of moisture include bloom in chocolates. Bloom is nothing but fat and sugar crystals that rises to the surface if the chocolate absorbs moisture during packaging. Moisture also inhibits the natural flow, as material sticks to the high speed processing and packaging machinery and also to the wrapping material. The processing thus slows down and moisture creates problem of hygiene, resulting in loss of production as well as loss in the final product quality. Change in the structure/dimension of the film core interface. Increase in residual moisture content and improper adhesion i.e. degradation of coating quality in the presence of moisture. Sugar bloom and change in flavor. Due to the highly hygroscopic nature of all biscuits when exposed to moisture even for a short while, they lose their crispness. Although the quality is not affected, they become soggy and rubbery and in general not very appetizing. During manufacturing, the biscuits are at high temperature when they come out of oven process. However, they need to be cooled before being packed. For this they are stored in hot rooms where the temperature is around 40-50° C. At this particular moment they tend to regain moisture. Therefore, it becomes essential that humidity in the ‘Hot Room‘ be controlled so that biscuits does not gain moisture from its surroundings. Two of the basic ingredients in candy i.e. sucrose and corn syrup are highly hygroscopic in nature, which makes candy sticky, runny or moldy, when exposed to humid conditions. This inhibits natural flow as it sticks to high speed processing and packaging machinery and wrapping material, making the process slow and creating hygiene problems. Humid conditions also effects storage life of candies. 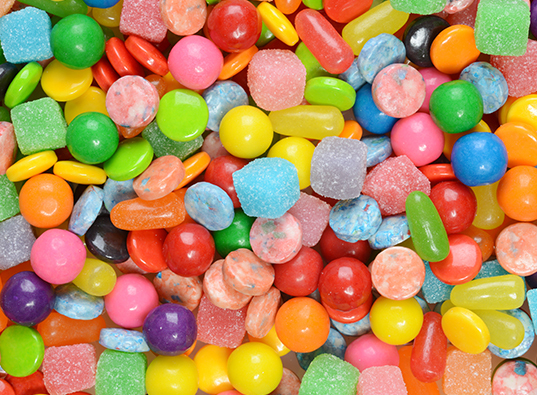 Most candies are stored between one week to about a year between manufacture and consumption. 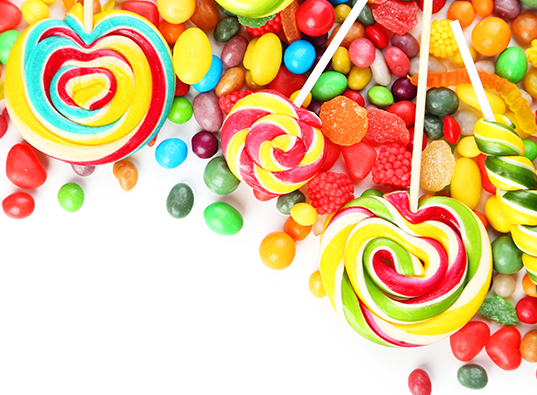 During this long period candies can become stale and sticky if not kept under proper conditions. It is important that a candy does not lose its quality and flavor during storage time. Any coated candy like gumballs or chocolate covered nuts can benefit from using dry air to speed drying, as high temperatures would melt the product. Coated candies or chocolates with a high quality gloss surface finish can only be obtained with the aid of dry air from desiccant dehumidifiers. 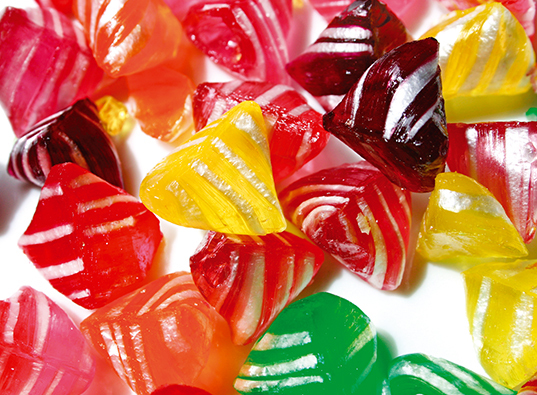 The solution lies in maintaining required stringent conditions of temperature and humidity in the processing, packaging and storage areas for candies and confectionaries items with dry air. Bry-Air Dehumidifiers that lower the moisture content of the surrounding air maintaining RH as low as 1% at a constant level regardless of the ambient conditions during the production, storage and packing help to improve the quality and retain the freshness of the chocolates and other confectionery longer.